Continuing the patent wars that Apple is fighting here and there, the industry Goliath lost the battle to Motorola in Europe resulting to the sales ban of 3G-enabled iOS gadgets from Apple after a preliminary injunction in a German court after Motorola sued the company for patent infringement. Manheim’s regional court, ruled that Apple devices with 3G cellular networking did infringe patent no. 1010336 that Motorola owned. This is the same patent in the US, patent no. 6,359,898. The devices affected by the sales ban include the iPhone 3GS, iPhone 3G, and the iPhone 4. It also includes the Apple tablets including the iPad and the iPad 2. iPhone 4S was not included in the sales ban and was not included in the infringement case but it is most likely to that this smart phone will also be affected by the ruling once it launches. To save its existing market and to lift the ban, Apple still needs to secure an appeal in one of the higher regional court in the country. 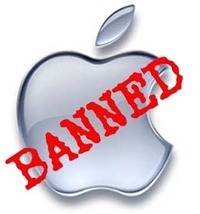 With the sales ban implemented, it is still a wonder whether Germany can strongly enforce a nationwide ban of 3G enabled iOS devices in the entire Europe. Meanwhile, according to FOSS Patents, there is an injunction against Apple Sales International based in Ireland in exchange for $134 million bond. Apple initially requested for a $2.7 billion bond. If Apple win a stay in the injunction, Motorola is liable to pay the bond in full amount.